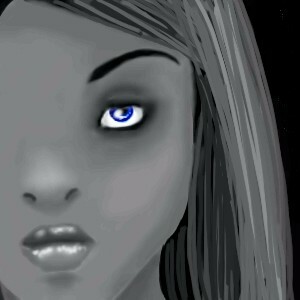 2draw.net - boards - Intermediate - Greyscale. awesome. the first time i saw this it was on 16 bit color. the second on a crappy dark school comp. but now i see. and its kickass. though theres kinda lacking where the eyebrow meets the top of the nose? Yah, yah, I know. -___- If you watch teh animation, you can see I tried, but it just didn't want to work with me. Personally, I'm in love with teh lips.